If the lines of the classic Volvo 240 seem too ordinary, or too square, consider the Swedish alternative – Saab. It offers a competitive capacity for all your stuff, greater sporting lineage, and is wrapped in arguably more creative styling. That said, it’s still quite utilitarian in the Swedish idiom, with simple, clean styling and longevity that can equal its Volvo compatriots. Due to their shorter production lifespan, fewer Saab 99s remain, so when one comes up for sale, it’s almost compulsory to feature it here. 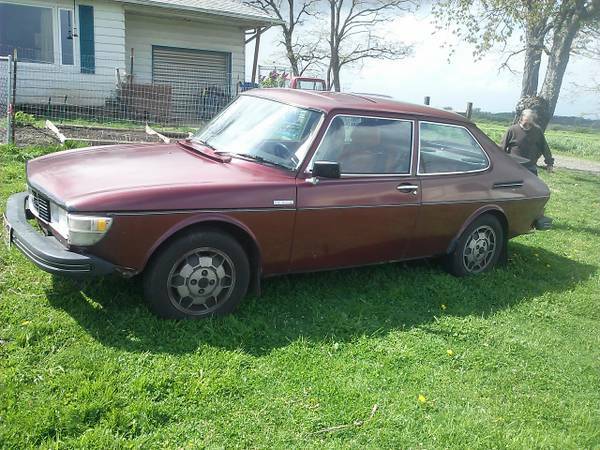 Take a look at this 1978 Saab 99 EMS for sale for $2200 in North Albany, OR. Some will argue the 99 is an unattractive car, and while it’s by no means beautiful, the quad headlamps and battering ram bumper go far to make it look aggressive, and the wrap-around windshield is distinctive and functional. The color of this car is shared with the 99 turbo, and works well on the shape. The interior is said to be in rough shape, and the headliner is missing, but in the worst case you should be able to substitute parts from a 900 until you can get something correct in there. Photos in the listing show useful details like working hatch struts (no mean feat with a hatch this size) and a little rust behind the rear wheels. 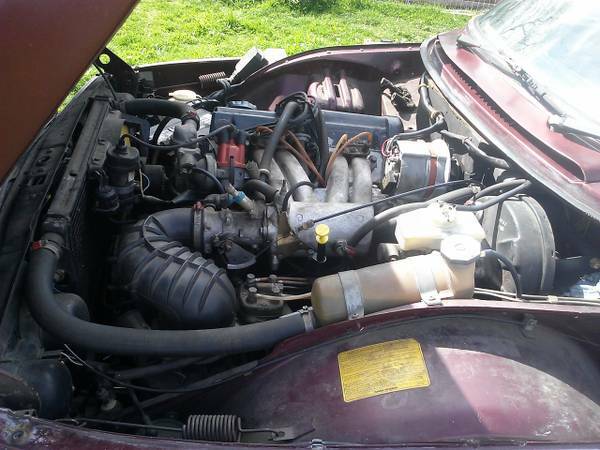 The car is said to have a fresh tuneup, and new water pump, fuel pump, and tires, and the seller drives it daily. Make sure the transmission is in good shape, as they are prone to failure. This car has made it to 250,000 miles, so it’s no doubt had some attention there in its past. The 2-liter engine was good for 110hp, competitive with many other manufacturers’ offerings in the late 1970s. While 1978 was the debut year for the EMS in North America, it was on the market elsewhere starting in 1972 (1974 for the hatch). 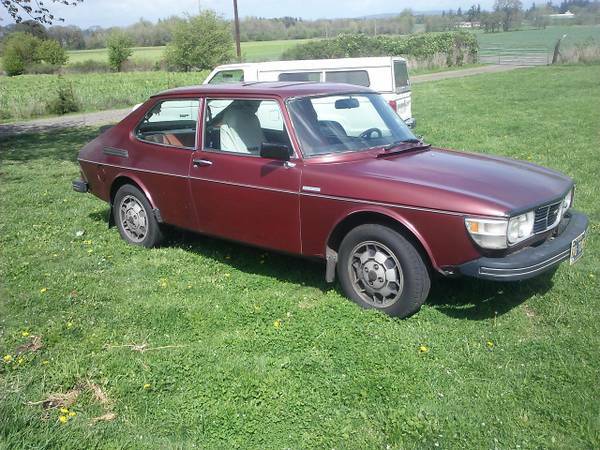 Saab’s soccer ball wheels were another cue that this was an EMS, along with the lip spoiler under the rear window. With some cosmetic detailing work, this car could easily stand out in a crowd, and probably bring back some good memories for folks who rejected the BMW/Mercedes mainstream solidifying at the time. On this Swedish Monday, would you pick the Volvo or the Saab? This entry was posted on June 23, 2014 at 4:50 pm and is filed under Feature. You can follow any responses to this entry through the RSS 2.0 feed. You can leave a response, or trackback from your own site. injection…although the E in EMS stood for electronic fuel injection. If I recall, the 74 and 75 cars were sold in the USA with L-Jetronic injection. Interesting… and yeah, on looking around, there are articles showing EMSs for sale as old as 1974. Anyone have an earlier one in North America?